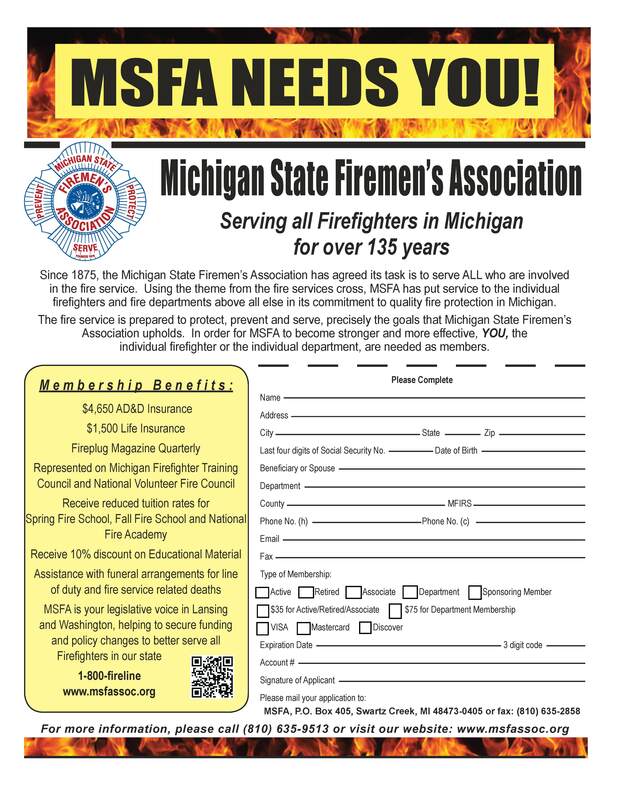 Since 1875 the, the Michigan State Firemen’s Association has agreed its task is to serve ALL who are involved in the fire service. Using the theme from the fire services cross, MSFA has put service to the individual firefighters and fire departments above all else in its commitment to quality fire protection in Michigan. The fire service is prepared to protect, prevent and serve, precisely the goals that Michigan State Firemen’s Association upholds. In order for the MSFA to become stronger and more effective, YOU, the individual fire fighter or the individual department, are needed as members.